WHOAS will be at the Olds Cow Palace this Saturday, November 24, from 10 am to 3 pm. Come and visit us and get your 2019 fundraising calendar. We will also be in Strathmore at the Civic Centre from 10 am to 4 pm, November 24. 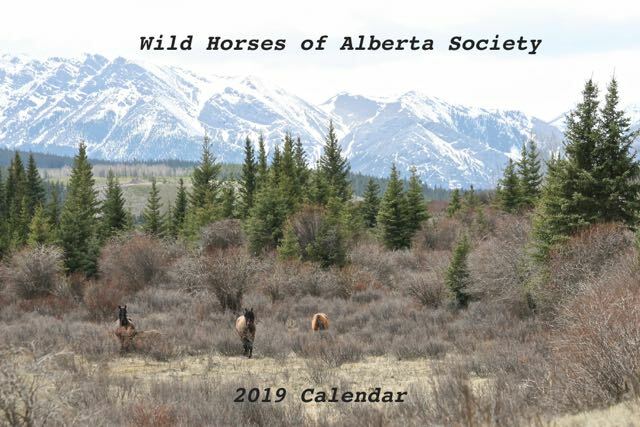 We would love to meet you and talk with you about our Alberta wild horses. Our fundraising calendars will also be available. Best Xmas present yet for those on your Xmas list! – Just $20. We hope to see you there.